PINEY OAT incorporates the healing properties of oats with pine tar- an old fashioned remedy for skin issues such as eczema, psoriasis, poison ivy, poison oak and poison sumac. Pine tar makes this bar very drying, so this bar is not suitable for all skin types. Oats give this bar tons of gentle texture. SIMPLICI artisan crafted, natural bar soaps are long-lasting and have a great lather. Each bulk box contains seven bars of soap packaged in a sturdy box. Available as either naked bars or individually wrapped & labeled soaps. If you have any questions about this product by Simplici, contact us by completing and submitting the form below. If you are looking for a specif part number, please include it with your message. 2 pieces 100gm Tea Tree Essential Oil Henna Natural Soap. Free of SLS, SLES, Parabens and Carcinogenic chemical.100% Bio-Degradable and Detoxifying. Natural Anti-Septic, Anti-Bacterial. 2 piece 50gm Hexagon Activated Charcoal Peppermint Soap.Free of SLS, SLES, Parabens and Carcinogenic ingredients. 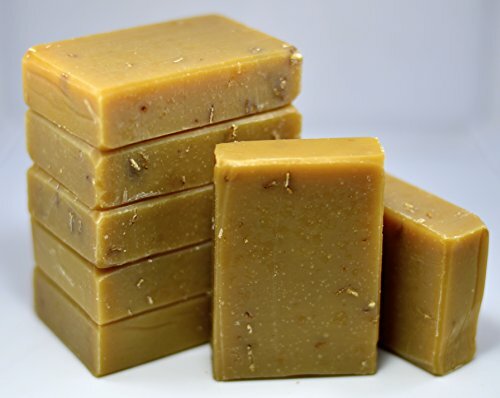 2 pieces 100gm Lemongrass Essential Oil Natural Soap. Free of SLS, SLES, Parabens and Carcinogenic ingredients.100% Bio-Degradable and Detoxifying. Anti-persirant, Natural Anti-Septic. NO CHEMICAL. Karma TYPE Whipped Soap, Fluffy Cream Soap,8 Oz.